Together with Santa Claus and the Easter bunny, the tooth fairy is among the most recognizable figures of childhood. In true secret fashion, parents get the fallen deciduous tooth underneath the pillow, leaving a money bill or two in its place. All around the world, parents go to great lengths just to make the story of the tooth fairy as real as possible in the young-unadulterated minds of their children. And not for nothing. The tooth fairy perhaps best symbolizes the earliest physical changes that people undergo during childhood. The story of the tooth fairy as it is told today has only been around since the early 1900s. Prior to this time, many of the early European cultures practice the ritual of burying the milk teeth of their children. 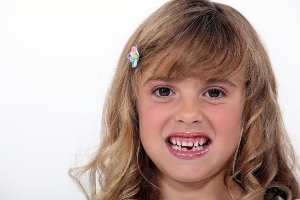 People of the time believe that burying deciduous teeth deep in the earth ensures that the child grows a healthy set of adult teeth. In other early European communities of the time, people practice the ritual of burying fallen deciduous teeth out of fear that witches might use them to place a curse on their children. Eventually, as the world progressed into modernity and people moved from the country and into city, the ritual changed from burying deciduous teeth underground to planting them into flowerpots. It wasn’t until later on that the narrative and practice of the tooth fairy mythology was transformed into the tooth-underneath-the –pillow modern retelling that most of us are familiar with today. Aggressive cancer treatments generally make the mouth more vulnerable to unwanted oral health anomalies. Most people are aware that cancer treatments typically cause adverse physiological side effects including nausea, loss of appetite, and hair loss, among many others. What most people don’t realise, however, is that approximately 1/3 of patients who are undergoing cancer treatments develop oral health complications. Comprehensive, frequent, and regular professional dental care is all the more necessary to people who are undergoing cancer treatment. Oral health complications of head and neck radiation, chemotherapy, and blood and marrow transplant widely ranges from dry mouth to life-threatening bacterial infections. If you’re not taking good enough care of your teeth and gums, you’re not only compromising your oral health and general wellbeing, you are also setting your future self up for $80,000 worth of full mouth reconstruction treatment. Alternatively referred to as preventative dentistry and preventive dentistry, preventive dental care is a branch of modern dentistry that actively works to prevent the very onset of common dental anomalies such as gum disease and tooth decay. Preventive dental care constantly works to minimise the impairments that are commonly caused by these dental anomalies, which often result to bacterial infection and the loss of teeth. 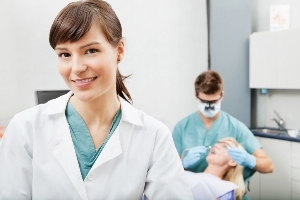 Preventive dental care programs largely consist of regular dental checkups, dental and periodontal screenings, and professional dental checkups. 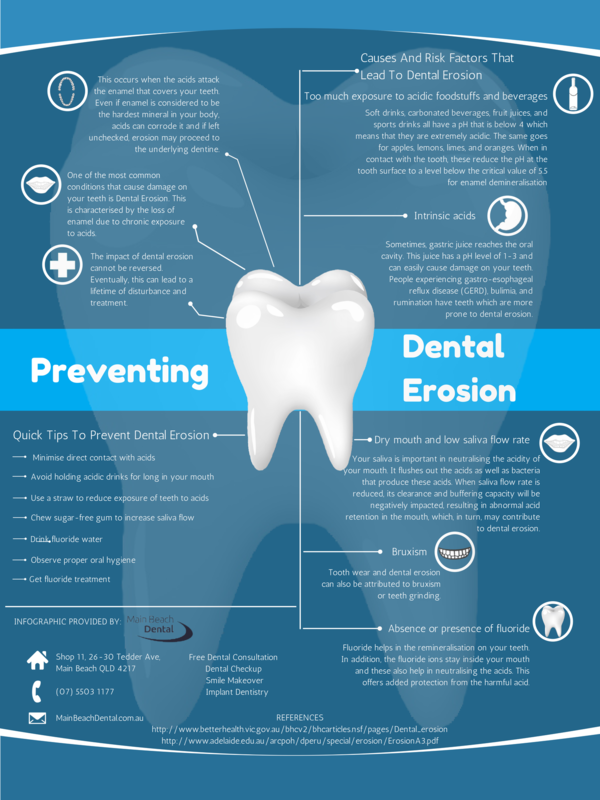 At its very core, preventive dental care focuses on various dental hygiene techniques and processes that actively prevent tooth loss and chronic gum disease. 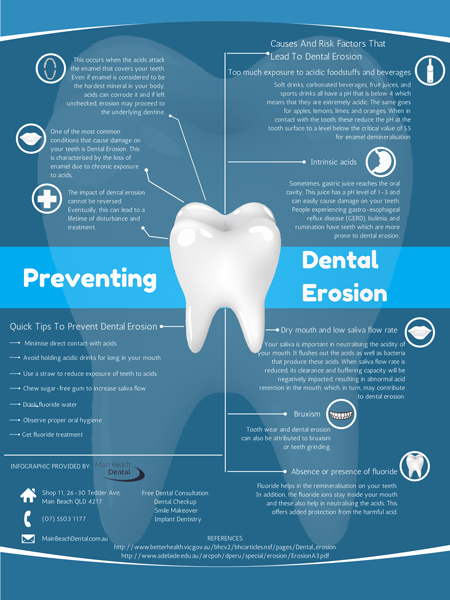 General dentists are essentially preventive dental experts. Similarly, dentists who specialise in Orthodontics and Cosmetic Dentistry are almost always practicing preventive dentistry as an active part of their patient treatment plans. Here’s a 2 minutes and 44 seconds Ward Off Your Bad Breath Naturally video. See full transcript below. Halitosis or bad breath is a condition that afflicts about 2.4 per cent of the adult population. Additionally, it is an oral health concern that goes on to affect other important aspects of your life such as your self-confidence and the way you interact with other people. Hence, you should address that stench in your breath with a sense of urgency before matters become a lot worse. What Should I Know About “Dry Mouth”? To know more about Dry Mouth, visit Main Beach Dental. We uphold a dental practice with integrity, comfort and compassion in order to provide stellar service for your satisfaction. For excellent dental implants, call us on (07) 5503 1177 or book your appointment online and claim your FREE dental consultation today! 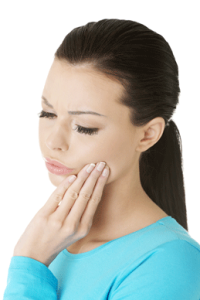 It barely matters whether it’s caused by sipping drinks that are a tad too warm or a little too cold, or by munching on treats that are a bit too sugary, or even just by brushing your teeth too aggressively, teeth sensitivity literally is a pain in the mouth that is sure to make jump out of your seat. Technically referred to as “dentin hypersensitivity”, having “sensitive teeth” is a wildly uncomfortable condition that could easily result from a number of causes. Among the most common causes teeth sensitivity include: worn out tooth enamel, exposed tooth root, and other dental injuries. Soft-Bristled Toothbrush. It is best for people with already sensitive teeth to use soft-bristled toothbrush and apply only a small amount of force when brushing their teeth. 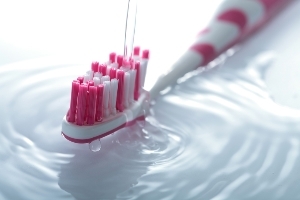 While it is always a good idea to keep your dental surface plaque-free, brushing too aggressively with hard-bristled toothbrush could actually cause dental enamel abrasion, which could worsen dentin hypersensitivity.